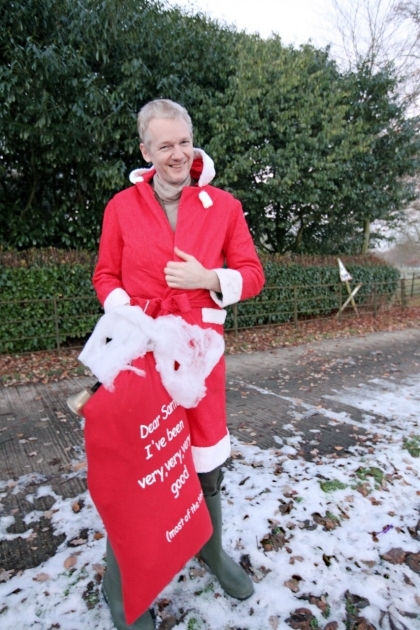 Newsweek has some exclusive pictures of Julian Assange, taken over Christmas, at a British country mansion where he stayed under curfew, wearing a monitoring device. In a recent article in the EU Times the Kremlin is allegedly claiming that Wikileaks is about to release details of a massive fleet of UFO's that emerged from the sea around Antarctica and approached the USA, in 2004. Tech.blorge has a list of forty of the best Movies that have slipped into the Public Domain and are therefore free to download. There’s two Christmas classics — a 1935 version of A Christmas Carol and Frank Capra’s Meet John Doe. Here's "Scrooge", it's the whole movie, so go get a cup of mulled wine and a mince pie..